Colour: Gold. Year: 2000. Fuel type: Petrol. This part is used previously fitted second-hand item. 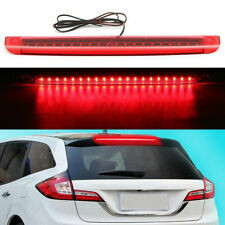 Genuine INTERIOR ROOF LIGHT A1635408311. Drive side: right-hand drive. Paint code: 744. Cash only if collected in person! Car number 048. Engine code: OM 612-963. Fuel: turbo-diesel. Item will be sold as it is shown in the pictures (you will receive exactly what you can see in the pictures). 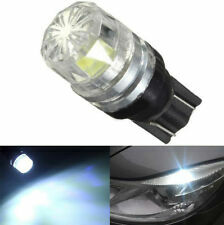 The experts in Automotive Lighting. - Interior light with bulb holder. - OEM part number for reference only is A0008206301. As lighting is our specialty, if you're unsure of anything - we are always here to help. Mercedes-Benz Sprinter 2006 To 2013 Lamp Interior. Good condition overall. 100% Tested and fully working. 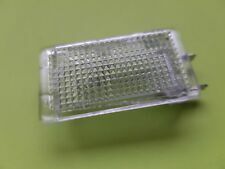 1x MERCEDES W220 S600 REAR INTERIOR ROOF LIGHT. 2016 Mercedes-Benz A Class 2012 To 2015 A45 AMG 4MATIC 4WD 2.0 7 Speed Automatic Petrol 5 Door Hatchback Lamp Interior A0009005108 This part was removed from a vehicle with the engine code: M133.980 All of our mechanical and electrical parts come with a 3 month warranty as standard, this covers the part itself but does not cover any labour charges incurred from fitment or removal of the item. (Terms and Conditions Apply). For extra peace of mind, extended warranties are available upon request at an additional charge. For more information please message us. Please be aware that all our items are removed from right hand drive vehicles unless otherwise stated. If you are unsure if this item will fit your vehicle or if you have any other questions then please call our parts department who will be happy to help. 2143CC 177BHP CLS220 AMG PREM LINE. 206 1.4 hdi van white. Audi A8 2.7 1998 S line. GLASS AND BODY PANELS. Alloy wheels and tyres. we have full testing facilities and send them out fully tested for flat spots and punctures. Second hand parts may carry age related scuffs or storage marks etc. we will 100 percent resolve asap. Part no. 2088200501. to ensure this item is compatible with your vehicle. 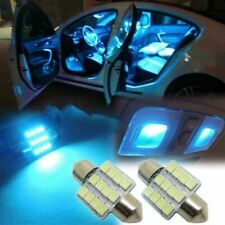 LED interior light kit. Pure white 5500K. 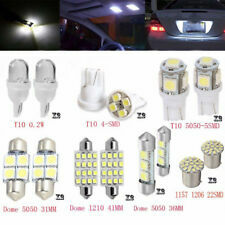 KIT INCLUDES BULBS FOR. The pictures are an example LEDs used in our KITs, actual contents may vary ! ERROR FREE BULBS WILL NOT CAUSE ERRORS OR FLICKERING. Error Free bulbs. 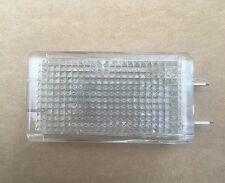 Mercedes-Benz V Class 1996 To 2004 Lamp Interior. From a 1985 w123 280E. OTHER CONSIDERATIONS. Our used parts are tested by us and any oversight is accidental. We will do our utmost to avoid this from happening. We try to note anything you would want to know about its condition outside of what you'd expect for its age. MAKE SURE THE PART NUMBER MATCH WITH YOUR OLD PART. PAINT CODE - C775. All our parts are used second hand and off the shelf so may have storage marks on them. Body type: 4-door Saloon. Whenever possible, we provide the part number. If in doubt, ask. Paragon Way. at their own expense. Non EU countries -£10. P/N - A2038208201. MODEL CLC 180 KOMPRESSOR. INTERIOR TRIM IMITATION LEATHER BLACK 171A. ITEM CONDITION. MILEAGE 88K. ROOF LINING IN BLACK. You are buying. THIS DOES NOT INCLUDE NI, ROI, HIGHLANDS OR OFFSHORE ISLANDS. Unit 1, zone 4A. Used part in good condition and working order. Whenever possible, we provide the part number. If in doubt, ask. Non EU countries -£10. Paragon Way. at their own expense. Canbus - error free. 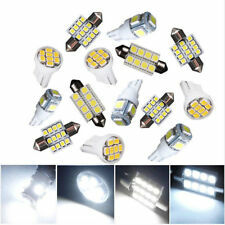 2 x 18 SMD LED. Excludes scottish highlands, ireland & northern ireland. Part - Interior light (A0009007003). D351 19973. We are open. Sat 8am - 4pm. Collection reference number. Genuine MERCEDES-BENZ C-CLASS (W205) Roof Interior Lighting. New condition overall, however the sunglasses drop down compartment when opened needs to be manually pulled down for it to open fully. I would imagine there is an issue with the spring that allows it to fully open by itself. Apart from that its cosmetically New. Small round head male pins plugs electrical connection. Models to fit- Certain w203 c-classes aprox 2000-2004 years. ROOF INTERIOR LIGHT. WE AIM TO RESOLVE ANY ISSUES WITHIN 24 HOURS. IF THERE IS A PART YOU ARE LOOKING FOR AND YOU CAN NOT FIND IT. PART NUMBER A 212 906 79 02. Eight (8) male pins plugs electrical connection. Models to fit- Certain w220 s-classes from aprox 1999-2003. INTERIOR ROOF LIGHT IN BLACK. WE AIM TO RESOLVE ANY ISSUES WITHIN 24 HOURS. FITTING SERVICE AVAILABLE - IF THE PART IS FITTED BY US THERE IS 1 MONTH WARRANTY. IF THERE IS A PART YOU ARE LOOKING FOR AND YOU CAN NOT FIND IT. Item Specifics:1995-2002 - 4 DOOR - SALOON - STEERING COWL - COMPLETE. Part:Steering Cowl. This Steering Cowl was removed from a1997 car and has been fully inspected. E CLASS 1995 -2002 210 Series. Model:E CLASS.